Yale in Hollywood visits the Academy’s Oscar Week panel featuring the filmmakers of the Animated Feature Oscar nominees at the Academy’s Samuel Goldwyn Theatre in Hollywood. Get tickets on your own at the Academy’s web site starting Feb 1 https://www.oscars.org/events/oscar-week-2019. At the event, look for Kevin Winston at the end of the event for a group photo (with an Oscar hopefully) which we will post on the Yale in Hollywood page. 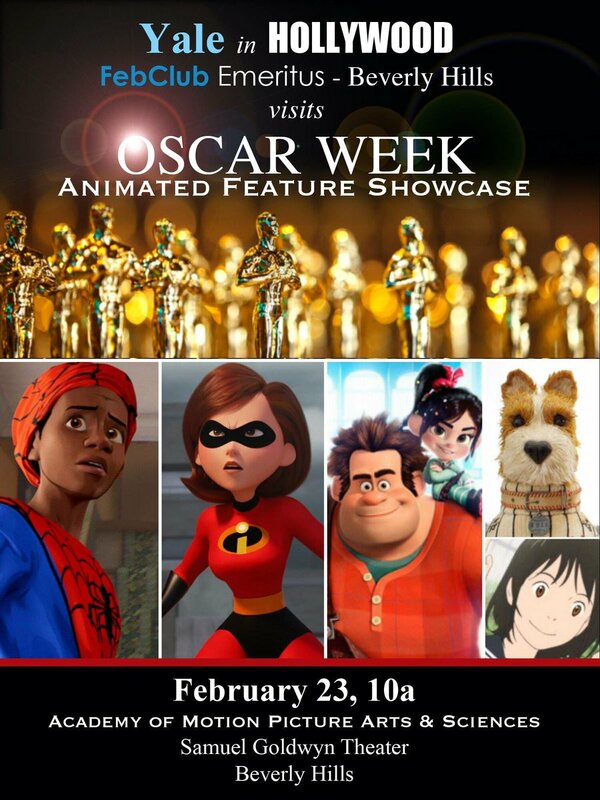 After the panel, we will walk over to Urth Cafe on Beverly Drive in Beverly Hills to discuss the animated features, and socialize as our Yale in Hollywood – Feb Club Emeritus event in Beverly Hills. Get drinks and food at Urth cafe on your own. The famous Urth Cafe has been featured in the Entourage TV series.